A Manitoba MP is crying discrimination after two aboriginal women were not allowed to board a plane with her, even though they had tickets. Niki Ashton, who represents the Churchill riding for the NDP, said Gail and Joyce Nepinak were scheduled to fly to Ottawa from Winnipeg with her on Sunday evening. ​ The Nepinaks had been invited by the House of Commons to speak at the special committee on missing and murdered indigenous women on Monday. It is the first time the committee will hear from families. The Nepinaks were to be one of six families testifying. Tanya Nepinak — Gail&apos;s sister and Joyce&apos;s daughter — went missing from Winnipeg in September 2011 and has never been found. She was 31. Though her remains have not been located, police have said they believe they may be buried somewhere in the Brady Road landfill. Winnipeg police had charged Shawn Lamb with second-degree murder in connection with Nepinak&apos;s death, but that charge was stayed last month. Gail and Joyce don&apos;t have drivers&apos; licences or any other government-issued I.D., which is required by airlines for passengers to board. Air Canada would not accept the Nepinaks&apos; health cards, bank cards, their electronic boarding passes, a House of Commons invitation, or even Ashton vouching for them. Ashton asked to speak to an Air Canada manager but one never showed up. She said that in many ways this situation is symbolic of the systemic discrimination aboriginal people face in so many areas of their daily lives. The Nepinaks were embarrassed, she added. The House of Commons should share some of the blame, though, Ashton said. Officials should have made sure the Nepinaks had proper ID before the tickets were booked. 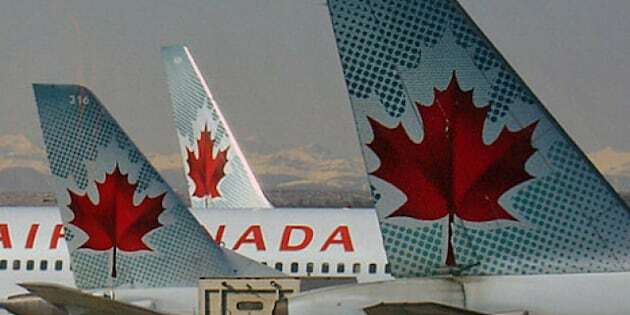 On Monday, Air Canada sent a statement to CBC News, saying it was simply following the rules.